These are varied flavors of Country Style - Chocolate Boom, Cookies & Cream and other Krazy Squares flavors which I often bought for my pasalubong to my kids aside from the all-time favorite Triple Choco Boom. 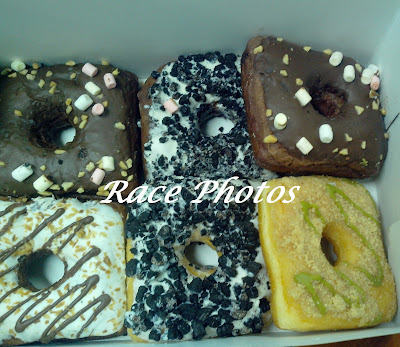 What I like about their doughnuts are the not-so-sweet taste and the fillings inside. The flavors are also exciting just like the ones I bought this week. I actually bought just at the same building (Cityland Condo Tower II) where our office is located and where I work. They have a small cafe at the upper ground and sells their doughnuts at 20% off original price after 3pm which fits our time for afternoon snack. I can't remember buying without the discount because we always want it in the afternoon to eat while we have our coffee, just perfect. Try it and enjoy a different doughnut from your traditional sweeties.